This entry was posted in adult courses, Events and tagged Acocks Green, Adult Courses, Art Apprication, BAES, Birmingham Adult Education Centre, BSL, computer courses, English Classes, Marketing Basics, Maths Classes, Music Technology, Nail Art, pottery, Stone Hall. Bookmark the permalink. Hi there I’m interested in nail art course, please let me know if you have any nail court course to offer. You have contacted the Neighbourhood Forum website, we are a community group of volunteers that promotes events going on in the area. 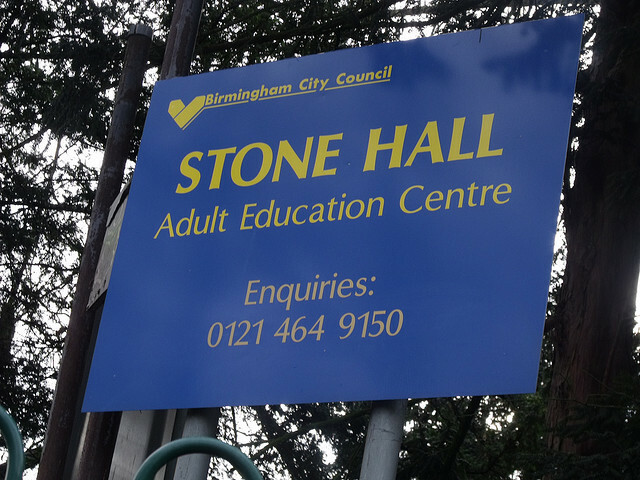 You need to contact the Adult Education Centre for the best advice on courses, you phone Stone Hall directly on 464 9150 or call in and see them. Also the general number for Birmingham Adult Education enquiries is : 0121 303 4318. You have contacted the Neighbourhood Forum website, we are a community group of volunteers that promotes events going on in the area. You need to contact the Adult Education Centre for the best advice on courses, you phone Stone Hall directly on 464 9150,or call in and see them. Also the general number for Birmingham Adult Education enquiries is : 0121 303 4318.